A concise and accessible text, The Superintendent’s Rulebook explores the human-resource, political, and leadership dimensions of the superintendency. This important book is designed for new aspiring superintendents and Boards of Education, helping readers to apply the many leadership lessons taught in training programs and education leadership courses to their everyday practice. 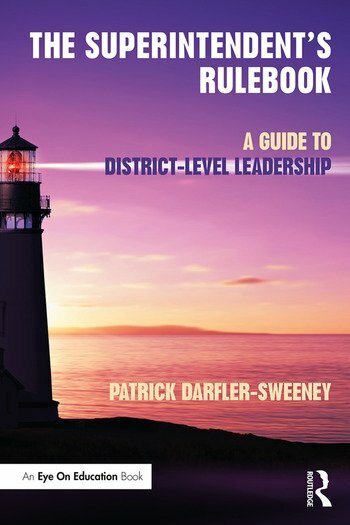 Full of real-world examples, takeaway strategies, and supplemented with discussion and "inbox" questions, this valuable resource encourages reflection, while capturing the day-to-day spirit and complexities of district-level leadership. Chapter 20 Logic Means Nothing, B.F. Skinner Had it Right! Patrick Darfler-Sweeney is a retired Superintendent of Schools of the Hunter-Tannersville CSD, New York, and an Adjunct Instructor for SUNY Oneonta, USA.